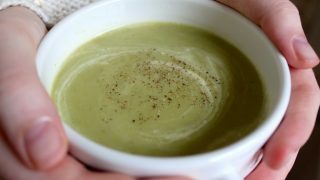 Cream of Broccoli soup is a super easy way to turn some fresh or frozen broccoli into a delicious, creamy soup for a starter or even main course. 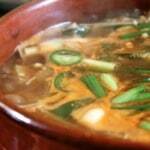 I’m squeezing this soup onto my blog before I stop making it until next “winter”. 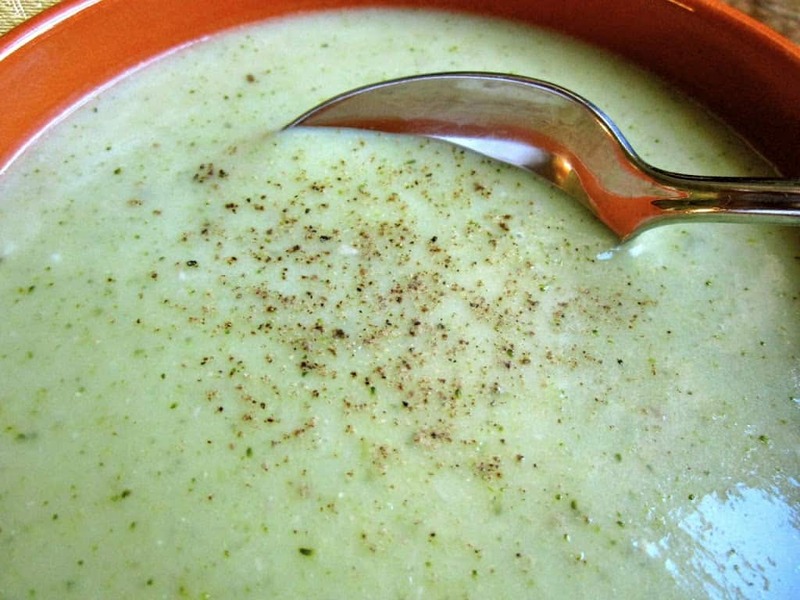 The very first time I heard of Cream of Broccoli Soup was at our dining commons at Eastern Michigan University, when my friend, Kellie, practically screamed in delight (actually, I think she really did scream in delight) when she saw that it was one of the soups of the day. 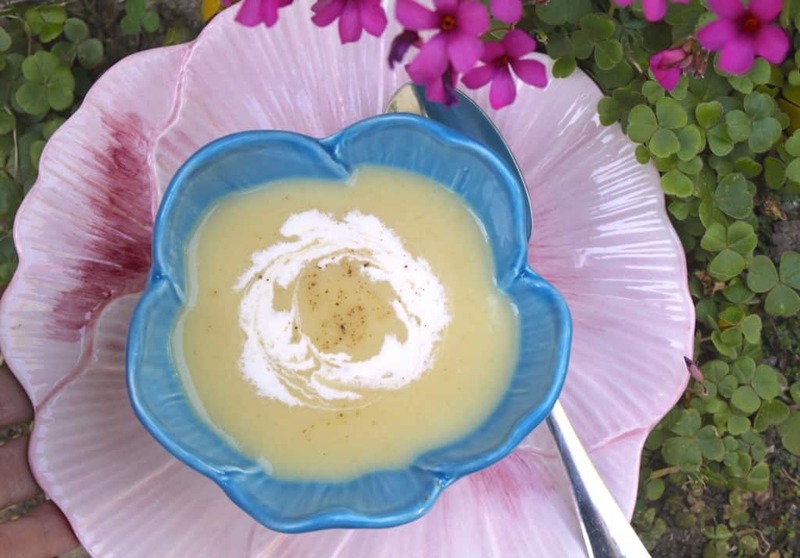 My mother had never made any super thick and creamy soup, ever. So, back to the soup at EMU: I had to at least try this stuff after I watched Kellie devour her bowl in complete ecstasy. (You have to remember, this was a college dining hall. When someone devours food in ecstasy, it is an event similar to the frequency of Halley’s Comet). All I can say is, after one bowl, I was hooked. It was thick and rich and so incredibly flavorful, that my taste buds could hardly stand all the excitement. I was on board with “Team Kellie” and the rest is broccoli soup history. I don’t remember where or when I started making Cream of Broccoli Soup, but what I do know is that it’s one of my favorites now. However, I’d guess that my version is probably a bit healthier than the one I first tried at EMU. It doesn’t look like much in the photos, but don’t let its looks deceive you. 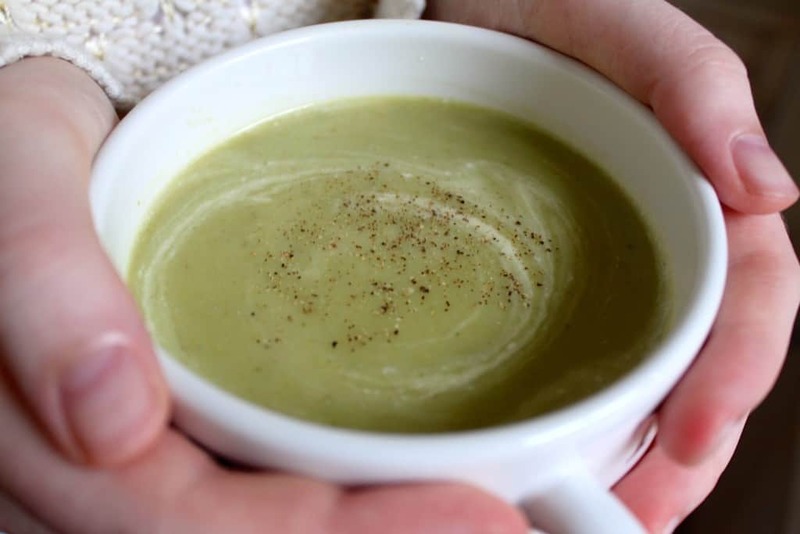 You can make adjustments according to your own preferences for thickness, fat content, whether you like it completely blended or with bits of broccoli–make it your own way, and see if your tastebuds can take all the excitement! 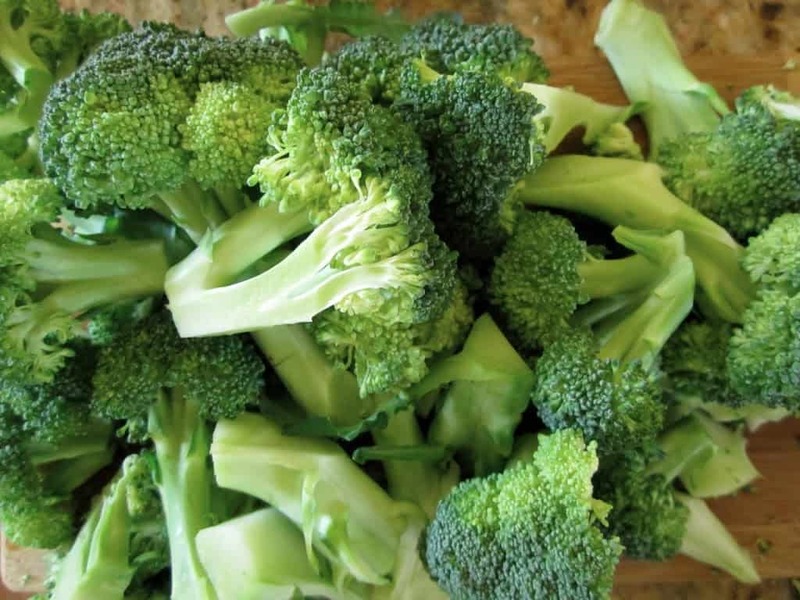 Sauté the onion and celery in the olive oil and butter for a few minutes, then add the water, broccoli and potatoes. Next, add the bouillon, if using, and some salt. Simmer for about 20 minutes until the potatoes are soft, then blend with an immersion blender. Taste for salt, and add some freshly grated black pepper, then pour in some cream, half and half or milk, as desired. Heat thoroughly, without boiling, then serve with a little more black pepper. 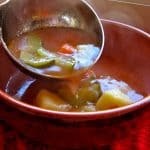 A super easy soup that's perfect as a starter or even a main course. 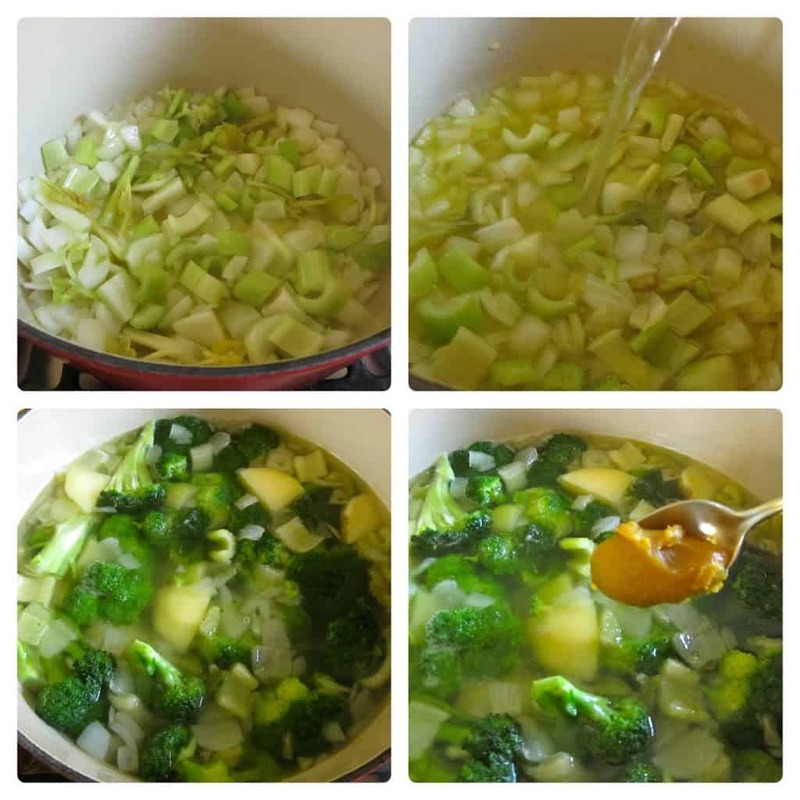 Sauté the onion and celery in the olive oil and butter for a few minutes, then add the water, broccoli and potatoes. Next, add the bouillion, if using, and some salt. 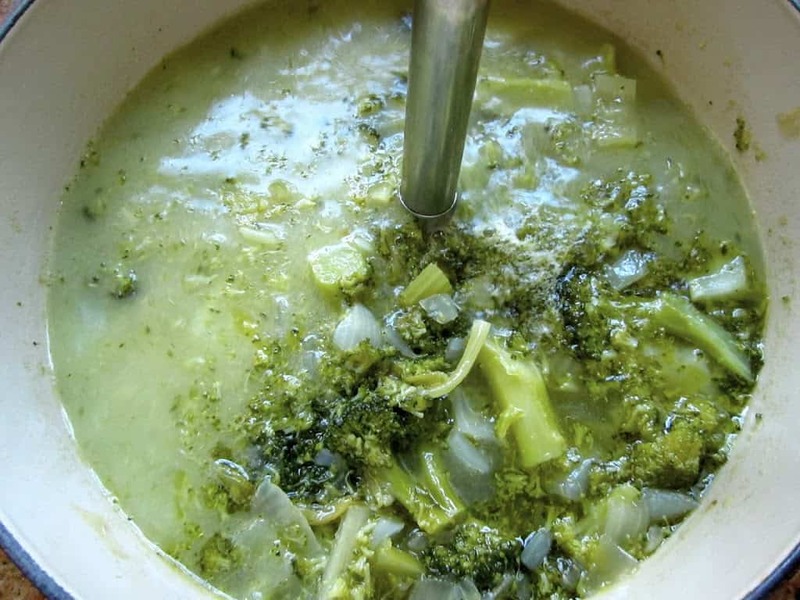 I cooked your broccoli soup at requested of my husband. It was delicious. He had 2 big bowls and loves it. It’s so easy to cook it. Thank you! 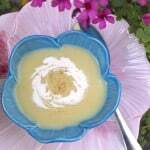 Creamed soups are my favorite! Best comfort food ever! 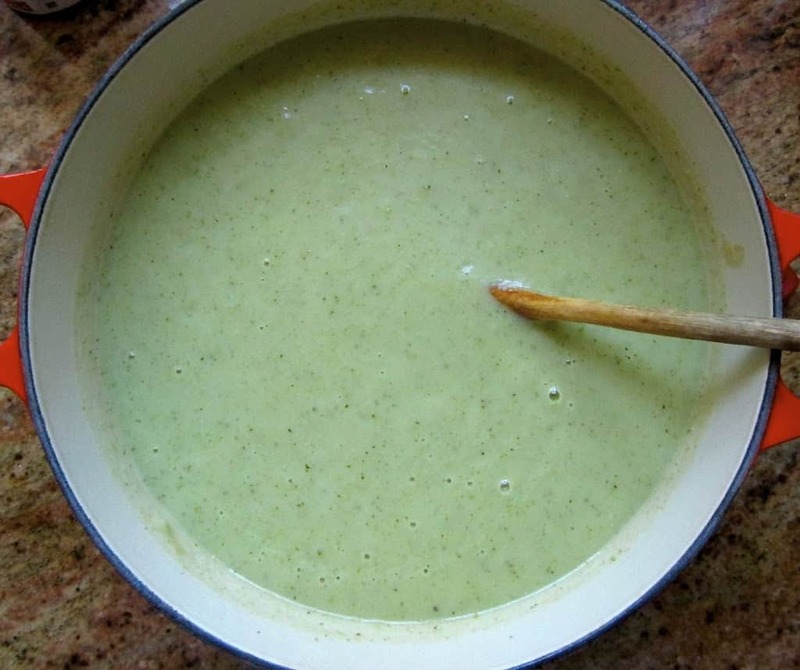 Although I love it – I have actually never made cream of broccoli soup, but I think that will have to change after seeing how simple it is!! Do you think it would work if I do not add the potatoes? Or is that important as the thickening agent? 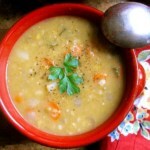 Its going to be coolish this weekend, maybe I can squeeze in one more pot of soup, this sounds heavenly! Yes, here too…what is happening with the weather everywhere? Have a great weekend, Suzanne!